The NEW AutoCAD 2019, the world's most popular 2D and 3D CAD software, is now even bigger and better! AutoCAD 2019 includes specialized toolsets and functionality for architecture, mechanical design, 3D mapping, and more, and the latest feature updates. Take your work with you with the new web and mobile apps. Enjoy the flexibility of accessing any DWG with AutoCAD on any device—desktop, web, or mobile. Subscribe to AutoCAD now and gain access to all of the following software: AutoCAD Architecture, AutoCAD Electrical, AutoCAD Map 3D, AutoCAD Mechanical, AutoCAD MEP, AutoCAD Plant 3D, and AutoCAD Raster Design. When you subscribe to AutoCAD, you get access to industry-specific toolsets, greater mobility with web and mobile apps, and all the latest feature updates. Use walls, doors, windows and 8,000+ intelligent architectural objects and styles to speed up architectural drawing and documentation. 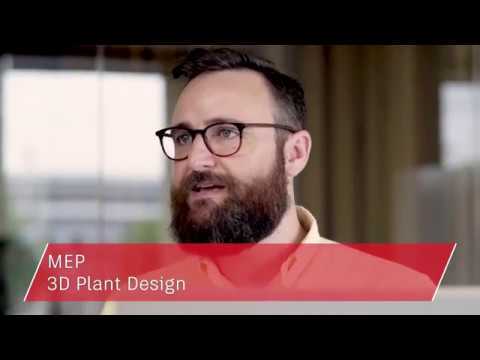 AutoCAD can help you accelerate product with specialised mechanical design features, and over 700,000 intelligent manufacturing parts and symbols. Boost productivity with specialised tools for creating, modifying, and documenting electrical controls systems. When you subscribe to AutoCAD, you gain the flexibility to use a specilised toolset to match your project requirements and evolving business needs. Subscribe to AutoCAD and work anywhere while staying connected to your DWG files across desktop, web, or mobile. Speed your work with specialized functionality & libraries. When you subscribe to AutoCAD 2019, you get our toolsets for architecture, mechanical design, electrical design, and more. Automate floorplans, sections, elevations, and other drawings. Design ductwork, electrical conduit, and circuiting for HVAC, plumbing, and electrical with MEP. Easily create details and views from 3D models, and schedules, lists and tables.